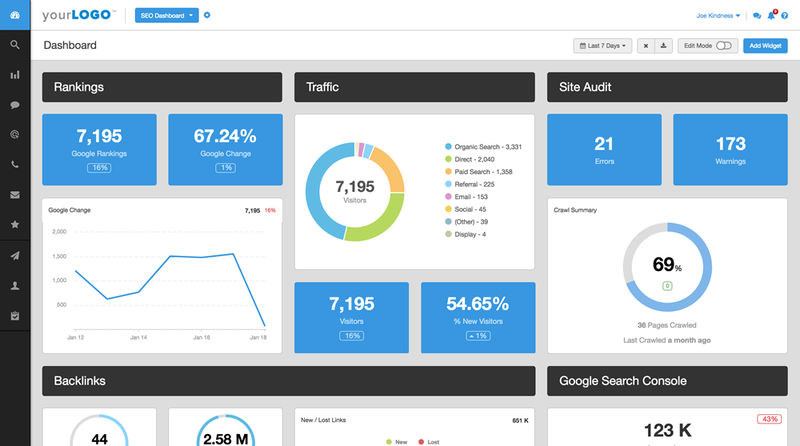 AgencyAnalytics is an all-in-one marketing dashboard built for agencies and freelancers. Monitor every marketing channel in one convenient place, so you are always up-to-speed on a campaign’s performance! Keep clients updated too with automated marketing reports that feature your agency’s branding. Every dashboard and report is completely white-labeled. In addition to reporting, AgencyAnalytics gives you the tools you need for a successful SEO campaign. SEO tools include backlink monitoring, rank tracking, site auditor, and competitor analysis.